We are living in a 1949 traditional home. The kitchen was last worked on in 1981. We needed a change! My daughter recommended a designer and associates to redesign the functionality of this old kitchen without adding footage by moving out walls. What the outcome was is a larger, functional and beautiful kitchen! The quality of the cabinets, the layout and sizing of the cabinets, the lighting and tiles, the flooring all met and exceeded our expectations. 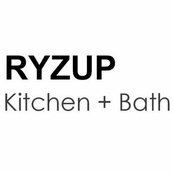 We did encounter a number of unforeseenable issues that Ryzup was able to resolve to our satisfaction. We are now enjoying our new kitchen.